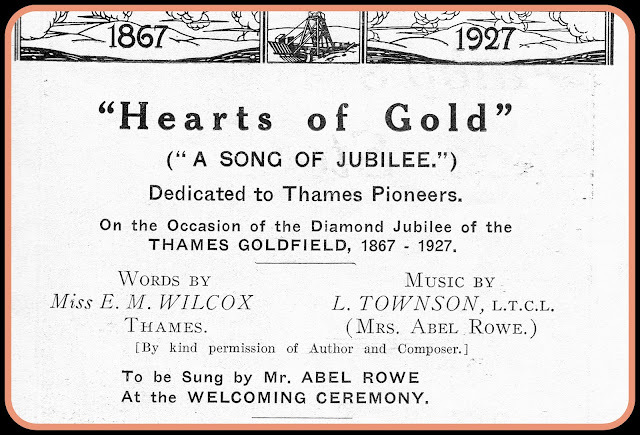 From the time the goldfield opened in 1867, music played an important part in the Thamesites life and the entertainment scene at the Thames. 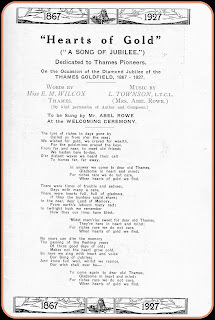 Concerts were the norm, with many contributing a song, musical recital and or variety act of some sort. Choirs were usually attached to a church group, so popular that they often performed at venues around the wider Thames and Auckland area. 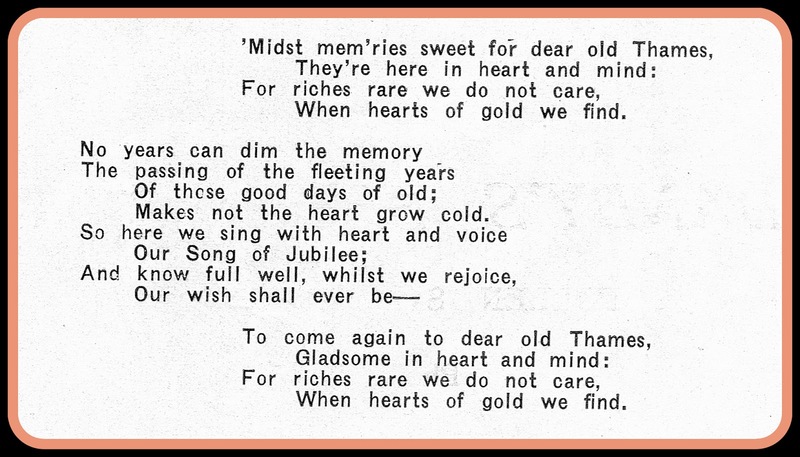 There were several gifted songwriters at the Thames, notably Mr John Grigg whose work shall be explored in a later blog. 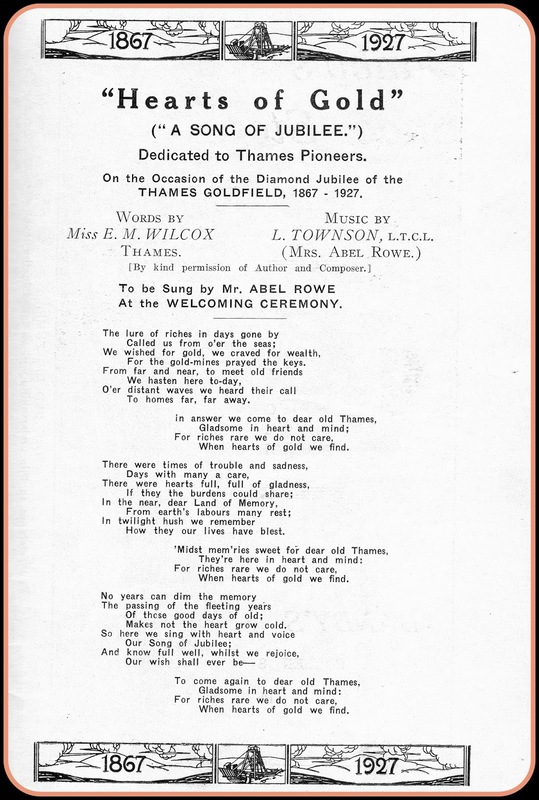 When the new display area at the Thames Museum was opened on Saturday 5 August 2017, a special song was once again heard at the Thames. Before the doors were opened the Just Harmony Choir sang 'Hearts of Gold.' You may well ask why and was it a special song? 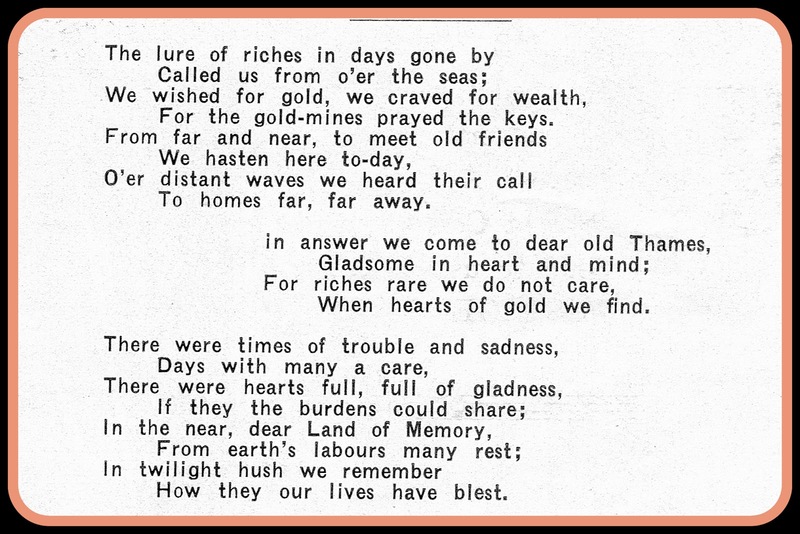 When hearts of gold we find." Hearts of Gold by LIMBO Studios, New Zealand. Above: Just Harmony Choir - video by LIMBO Studios, New Zealand.